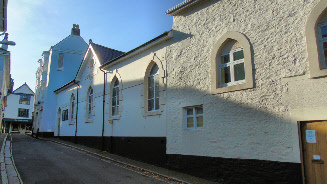 Totnes Gospel Hall is located at the very top of Castle Street (No 15), about 15 meters down from the junction to the High Street. 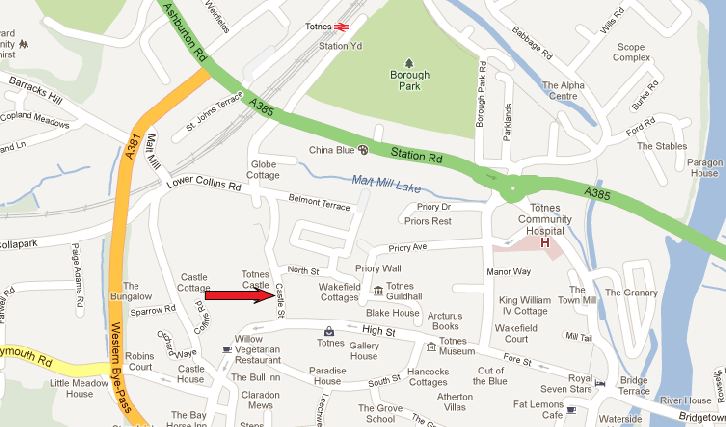 It is a one way road, in a direction towards the High Street. The best approach if you are driving is to enter Castle Street at the junction opposite the railway station (lower side), and then park in the North Street car park. Alternatively approach from the High Street and park on the road or in adjacent car parks. There is limited parking outside the hall on Sundays and and after 6pm on all other days. Sat Nav post code: TQ9 5NU.